I’m a northern girl, so there’s a lot about southern living I don’t understand, like collard greens and unsweetened ice tea. 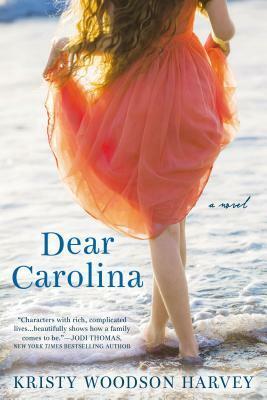 Kristy Woodson Harvey’s touching book, DEAR CAROLINA, made me fall in love with every part. I adored the lovingly described canned goods, the colorful phrases that one would only hear in the south, and the overall goodness of the characters. These people know that family isn’t based on blood, but on community and love. What made this book standout was the deep dive into the two narrators. Kristy captured their voices and struggles so vividly, that I was right there with them during their darkest moments and their most joyful. Pick up this book – you’ll love it! THE RUMOR by Elin Hilderbrand – Elin is sort of one of my idols, so meeting her at my first BEA was a thrill. Trading books with her was even more of a thrill! I read my ARC of The Rumor in one night. It was the perfect summer read. Fun and funny with just the right amount of scandal, when you take this one to the beach you have to make sure you bring extra sunscreen – because you won’t be getting up from your chair all day! THE MIDDLE OF SOMEWHERE by Sonja Yoerg – Sonja is a great friend and fellow Tall Poppy Writer who has really shown me the ropes the past year. And, oh yeah, she’s a terrific writer! I couldn’t wait to get my hands on her new one, and Sonja had me laughing on page one. This is a particularly interesting read for me because Sonja’s protagonist is taking a solo journey through the John Muir trail right before her 30th birthday. I will be thirty in a few weeks and have been feeling some of that need to really start experiencing and refocusing. With a husband and a three-year-old, I won’t be hiking anything alone. (Going to the bathroom alone seems like a more manageable goal!) But, even in these first chapters, I’m completely engrossed in Liz’s story. CITY OF FIRE by Garth Hallberg – I’m a couple of chapters into Hallberg’s new novel as well, also an ARC from BEA. So far, the premise of NYC in the 70s is very interesting and the characters are ones I want to get to know better. I’ve heard all sorts of amazing things about this 900-page whopper. Most interesting to me is that I live in the small NC town where Hallberg grew up! CLOSE TO DESTINY by Adria Cimino – I just downloaded this book and can’t wait to dive in. It’s a magical realism romance that explores the role of destiny in life. I’m very interested in déjà vu and love a hint of paranormal in my reading. I’ve heard great things about this one and know that I’m going to love it! THE COINCIDENCE OF COCONUT CAKE by Amy E. Reichert – I have to read all of the debs books, right? I have been so excited to read this one since the day I “internet met” Amy months ago! Just the title drew me in immediately. But, as I read on, I knew this was just the kind of book I would devour. Food… love… mistaken identities… Sounds like the kind of book you gobble up in one sitting! I can’t wait! Thanks again, lovely debutantes and debutante readers for having me today. It’s such a pleasure to be here with all of you! What’s on your summer reading list? DB: It was a pleasure having you Kristy! We can’t wait to read your new book in 2016! Have a happy Fourth of July! GIVEAWAY: Comment on this post by Noon (EST) on Friday, July 10 to win a copy of DEAR CAROLINA (U.S. only)! Follow The Debutante Ball on Facebook and Twitter for extra entries—just mention that you did so in your comments. We’ll choose and contact the winner on Friday. Good luck! Kristy Woodson Harvey is the author of Dear Carolina. She blogs at Design Chic about how creating a beautiful home can be the catalyst for creating a beautiful life and loves connecting with readers at kristywoodonsharvey.com. She is a graduate of the University of North Carolina at Chapel Hill’s school of journalism and holds a Master’s in English from East Carolina University. 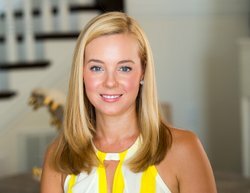 She is a regular contributor for The Salisbury Post, Domino magazine and Houzz. She lives in North Carolina with her husband and three-year-old son. Find Kristy on Twitter and Facebook. I wish much success to Kristy! It sounds like she’s got a great Southern voice! Some good picks there! Some of these are already on my “wish list” (including Dear Carolina!) but I’ll have to check out the rest! I forgot to mention I follow The Debutante Ball on Facebook and Twitter. All these books sound great. All the reviews I’ve read about Dear Carolina have nothing but great. It’s on my TBR list and I can’t wait to read it. It sounds like a great read! I followed on twitter. love writing with rich character development. OOPS – I follow in twitter and fb!!! !